We have a new Pope. 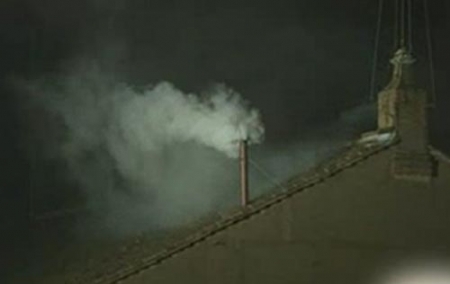 At 2 o'clock this afternoon, our time, white smoke billowed from the chimney of the Sistine Chapel and the bells rung loudly indicating a new Pope received the necessary 77 votes from the 115 Cardinals gathered at the Papal Conclave. The new Pope will be introduced shortly to a crowd of thousands in St. Peter's Square. Habemus Papam! Pope Francisco! 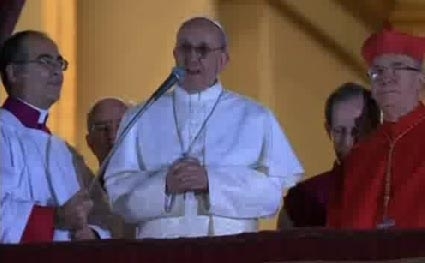 Argentine Cardinal Jose Mario Bergoglio has been elected as the new pope by the College of Cardinals. Bergoglio finished second in voting in 2005, behind Ratzinger and was elected fairly quickly during this conclave.